Gas has begun flowing into a southern Ukrainian town that pleaded for Russian help during a bitter cold spell. Amid regular blackouts caused by the Kiev administration, Crimean authorities have fulfilled President Vladimir Putin’s order to prevent people from freezing. A port city along the Sea of Azov in the Kherson Oblast of southern Ukraine, Genichesk is home to more than 25,000 people who began suffering severe gas shortages when the thermometers plunged to -14 degrees Celsius over the weekend. By Monday more than 1,500 residents in the Kherson region were left without gas, as authorities struggled with the decreased pressure on the municipal pipeline. To provide relief for those families left without an adequate heat supply, Genichesk Mayor Aleksandr Tulupov appealed to the Russian side to supply gas to the affected areas from Crimea. “On behalf of the residents Genichesk, the mayor of the city amid low temperatures over the last few days, has addressed the Russian side with a request to ensure gas supply to prevent the people of the city from freezing,” Kremlin spokesman Dmitry Peskov told reporters, adding that the Russian president has reviewed the plea without delay. 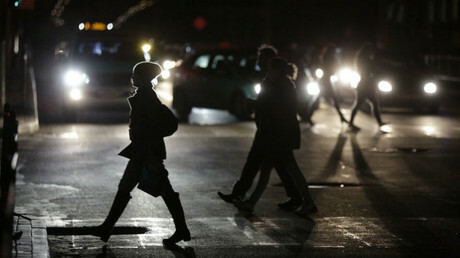 The gas supply to the freezing city was turned on Monday evening, according to Russian Energy Minister Aleksandr Novak. Genichesk will be receiving up to 20 thousand cubic meters of Russian gas per day, to increase pressure in the city’s pipe network, and to accomodate the region’s increased demand for gas heating at night. “We have received a request for the supply of gas to the city Genichesk since the capacity of Ukrainian gas transportation system is insufficient for heating the city and the area of Genichesk,” the head of Chernomorneftegaz Igor Shabanov told reporters, adding that the gas began flowing at 10:40 pm on Monday. When pressed by Ukrainian media, Genichesk’s mayor Aleksander Tulupov reportedly denied talking to the Russian side, wondering how could he “even possibly address the President of Russia?” The mayor however, did not deny discussing the issue with authorities of Crimea, which Kiev still considers to be a part of Ukraine. With Ukraine winding down natural gas purchases from Russia, the supply of gas from Crimea to the Genichesk district of the Kherson region ceased completely, chairman of Ukraine’s Hersongaz, Albert Zangief, confirmed at a briefing on Monday. “We have informed the population since January 2015 of possible problems with the gas supply during the heating season 2015-2016,” Zangief said, according to UNN, adding that some of the consumers apparently ignored the warnings and were not prepared. Kiev’s inability to negotiate heating supplies can be partially blamed on the blockade of Crimea, Igor Shepelev, deputy chairman of the Kherson regional administration, believes. “Last season there was a reverse gas supply and the city Genichesk entered the winter period normally. This year, unfortunately, there is no reversal. We need certain political conditions to be able to negotiate on the reversal of gas. At the moment in order for us to talk, we need to resolve certain issues such as the supply of electricity to Crimea,” Shepelev said. In late November, the participants of the so-called volunteer blockade of Crimea destroyed several electricity pylons in the Kherson region and prevented repair crews from restoring energy supplies via two important power lines leading to Crimea. 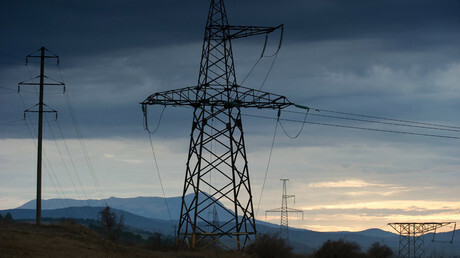 The power line sabotage operation left more than 1.8 million people on the Black Sea peninsula in a blackout. Mainland Russia began supplying electricity to Crimea in December after the first stage of the energy bridge was commissioned weeks ahead of schedule. Still, the peninsula partially relies on electricity supplies from Ukrainian territory, which was proven again on New Year’s Eve when hundreds of people were left without power after another pylon was blown up in Ukraine. Despite the sporadic blackouts and taking into account the unpredictability of the Ukrainian side, the majority of Crimeans said they would not sign an electricity contract with Kiev – especially the one that calls the peninsula a part of Ukraine. In the meantime Kiev has not officially resumed purchasing any gas from Russian energy giant Gazprom, Ukraine’s state gas company Naftogaz chief, Andrey Kobolev, told Channel 5, so the status of gas flow from Crimea remains undetermined. On November 25, Ukraine’s cabinet prohibited importing gas from Russia after Gazprom halted the supply because Ukraine had not paid them for the next delivery. At the same time, Kiev announced it would receive gas from EU states, paid by a loan from the European Bank for Reconstruction and Development. France’s Engie and Britain’s Noble Clean Fuels were chosen to deliver gas to Ukraine in December and January. 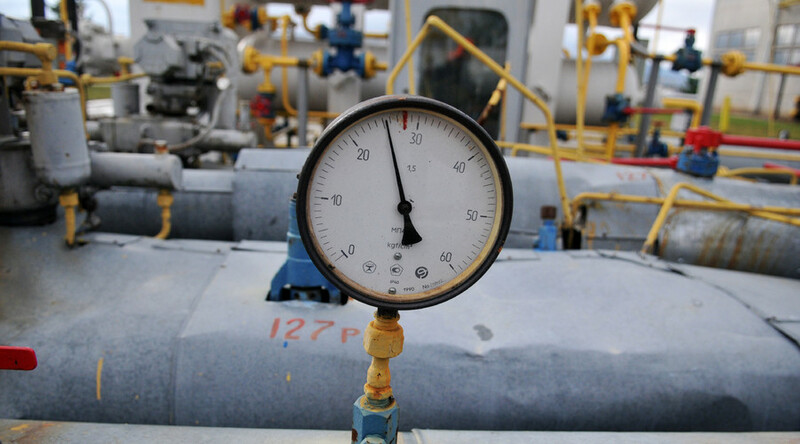 Kiev expects the price of Russian gas offer for Kiev to be below $200 per 1,000 cubic meters in the first quarter of this year in order to return to negotiations over the direct supply contract. In the meantime Naftogaz has announced a “radical” increase in transit fees for Russia’s Gazprom.